Nvidia lays unassailable claim in having the world's fastest consumer GPU. 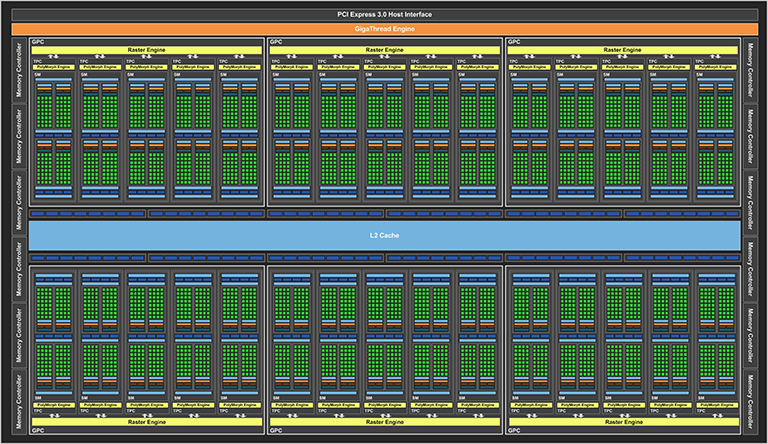 The Titan X (Pascal) crams in over 3,500 shaders and almost 11GFLOPS of compute performance that's backed by effective memory bandwidth close to 500GB/s. Such heady numbers are the platform from which it is claimed that Titan X offers true 4K60 gaming potential. With AMD's last generation Fury X failing to cut the mustard in the premium PC gaming space, Nvidia charged a lofty £1,200 for this creme de la creme graphics card. Titan X was designed to be exclusive, so much so that it was sold as an Nvidia-built Founders Edition board directly from the company's website, with the usual horde of partners not getting a look in. Going down the system integrator route was the only other option, and many understandably charged more for a base unit than a reasonably priced car. There are winds of change for the GPU landscape in the first half of 2017. AMD is bringing its cutting-edge Vega architecture to bear on the graphics market. Nvidia is using a two-pronged strategy to rain on AMD's upcoming parade. Part one is in launching a Titan X-like card under the gaming GeForce banner and part two is reducing pricing on present GeForce GTX 1080 cards whilst introducing OC variants. Let's focus on part one, also known as GeForce GTX 1080 Ti. Nvidia brings the Titan X into the GeForce fold by massaging its specifications. This means the GeForce GTX 1080 Ti uses the same GP102 die in almost the same fashion. There's still the same 3,584 shaders arranged in 28 blocks of 128 - full-fat GP102 has provision for 30 such blocks - and therefore 224 texture units. On the face of it, this is exactly the same as Titan X. Nvidia adds a touch extra frequency in a bid to offer some differentiation. Yet the green team does change the backend somewhat. Titan X features a 384-bit memory bus built via 12 32-bit controllers. 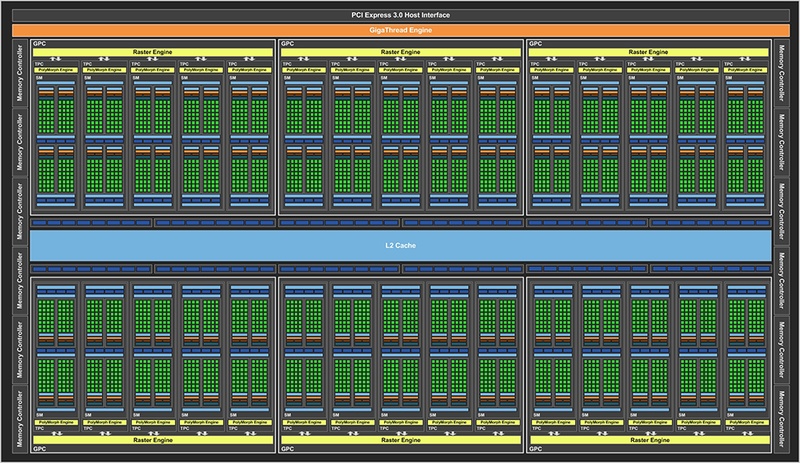 These access 96 render backends (ROPs) and 12GB of GDDR5X memory operating at an effective 10,000MHz. GTX 1080 Ti, meanwhile, drops one of those 12 controllers. The upshot of doing so is reducing the bus width to 352 bits, losing out on 1GB of memory while also diminishing the connected ROPs from 96 to 88 and L2 cache from 3,072KB to 2,816KB. Ameliorating these snips in the backend of the design is some refined GDDR5X memory operating at 11,000MHz. Nvidia says it has worked with the usual roster of DRAM manufacturers to improve the quality of GDDR5X when operating at high speeds. The image above compares the cleanliness of the memory interface section when running GDDR5X at 11Gbps. A cleaner 'eye', as on the right, generally means more reliability, enabling Nvidia to specify such a speed for the first time. It is fair to compare GeForce GTX 1080 Ti against Titan X because they share so much commonality. GTX 1080 Ti offers a tad more frequency and therefore approximately three per cent more GFLOPS throughput. The exact level of difference is dependent upon how GPU Boost scales on individual cards. The backend's narrower memory interface is just about compensated for by the newer, faster GDDR5X memory - 484GB/s vs. 480GB/s - though that doesn't tell the whole story. GTX 1080 Ti's reduction in ROPs commutes the pixel throughput by a few per cent, but this shouldn't be much of a concern in modern games. Gigatexel throughput, on the other hand, remains higher because both premium GPUs have 224 apiece. Such knowledge tells us that, comparing reference card to reference card, the GeForce GTX 1080 Ti ought to be very slightly faster in most titles. What is arguably far more important is the pricing. GeForce GTX 1080 Ti is to be first released in the Founders Edition (reference) form for $699. This is almost half the price of the Titan X when it debuted in August last year. Such an aggressive move with respect to price shows Nvidia's intent on stalling any momentum that rival AMD Vega may be hoping to achieve in the coming months. Coming in at the same level as the GTX 1080 did last May, that GPU drops to $499-plus. We have already seen global retailers take a reasonable axe to GTX 1080, with partner cards available from £450. And that brings us nicely to the last part of the GTX 1080 Ti story. Nvidia's partners are allowed to produce their own designs - differentiating on cooler, price, and frequencies - on this headline GeForce card. Expect to see higher boost speeds and therefore performance, especially as the AICs have become accustomed to designing cooling for GPUs with a 250W TDP. On to the card itself, Tonto.